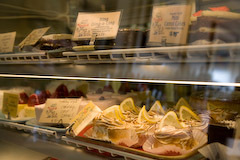 Best Bakery- Scratch Bakery in Cape Elizabeth – Scratch doesn’t offer much in the way of seating but it has amazing desserts and breakfast pastries. The homemade bagels are great, as are the blueberry scones and muffins, homemade quiches and pizzas, banana cream pie cupcakes, and butterfinger brownies. The Portland Head Light is a short drive from the bakery and the combo makes for an excellent morning adventure. Best Beer- Allagash White Ale- Portland is the home of many local breweries; Shipyard, SeaDog, and Allagash are some of the most well known. The Allagash White Ale is a summer brew that is light and refreshing. Served with lemon on the rim it is the perfect warm weather beer. Best Book Store EVER- Rabelias- This book store is dedicated to all things food (and only things food!!). They have an extensive collector’s section, local cookbooks, and many fiction and non-fiction books dedicated to food history. It’s wonderful for any type of food reading. The two owners are incredibly knowledgeable and will talk to you about any topic. Stay tuned for their sales, when almost their entire collection is either $1, $3, or $5. Best Breakfast- Louisiana Bayou Benedict at Bintliff’s American Cafe- Bintliff’s is a brunch restaurant located right by the ballpark. They offer very large portions and creative spins on traditional dishes, making them a must-have for any breakfast eater. The Louisiana Benedict comes with corn pancakes, andouille sausage, and spicy Cajun hollandaise. For lighter fare, the fruit and granola bowl is filling without being overkill. People rave about the pancakes, but after trying them twice we weren’t blown away. Chocolate Fix- Choclate Cake with Coffee Icing at Bar of Chocolate Cafe- If you are walking down by the water in the Old Port, you should take a stroll down the cobblestone Wharf Street. There is no access by car, but the little two block street houses many of Portland’s best restaurants. We walked by BoCC twice before finding it in the dark, but the chocolate cake was outstanding. I am admittedly not a chocolate lover, so this cake really is special! Clam Chowder- DeMillo’s Floating Restaurant- There is a constant debate over the best chowder in Portland, and the annual Chili and Chowder Festival encourages patrons and critics alike to argue who’s chowder takes the trophy. Gilbert’s is by far the most recommended, but after three attempts I found it runny and lacking in seafood. DeMillo’s win’s my vote and provides a great meal on a sunny day. The rest of the menu is average, but dining out on the water is worth a quick trip. Bring a jacket… it’s always windy! Dine and Doze- The Pomegranate Inn- This bed and breakfast a treat for all of your senses. 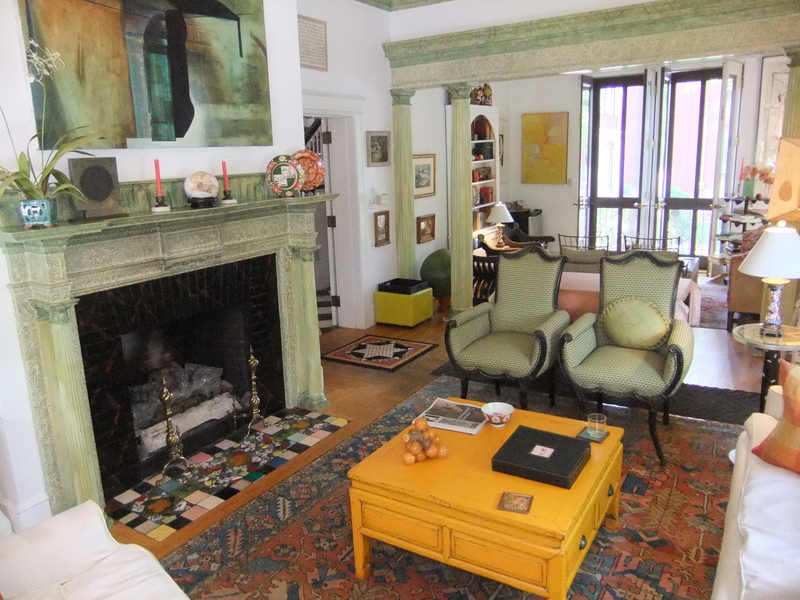 The home was decorated by a previous owner and shows a full range of vintage and contemporary art from local and global artists. Breakfasts by owner Dana Moos are worth the trip alone; we were served a gorgeous caramelized banana and pineapple brule with cinnamon cream, locally made sausage, and an enormous course of ricotta blinze souffle. on three separate occasions in Portland. The upscale menu features local dishes with contemporary flair. The restaurant has a large open kitchen and huge wood oven that make you feel right at home. The wood-fired mussels are my favorite dish, an appetizer served with almonds and garlic butter. The mushroom salad was also earthy and delicious, as are all of the vegetable side dishes. The desserts are all made in house and reflect the flavors of the season. The menu is seasonal and changes daily, making each trip a new adventure. Eclectic Cafe- Local Sprouts and Bomb Diggity Bakery- Like many store fronts in Portland, two small ventures share one restaurant space and provide many different things to choose from. Local Sprouts features an organic menu with many vegetarian options. The Sweet and Spicy Tofu Sandwich had tangy Asian condiments and peanuts that gave it great crunch. The grass-fed burgers are also delicious and come with healthy side dishes. Life Changing Ice Cream Experience- Mount Desert Island Ice Cream- This little spot offers flavors unlike any I’ve ever heard of. The Banana Curry is sweet with warming curry spices, the Thai Chili tastes peanutty and the whacks you with a hit of spice, and the Girl Scouts Gone Wild…. well, it’s pretty great. They also have sorbets like blueberry basil, cantaloupe, and pear Riesling that will give your taste buds a run for their money. Don’t bother trying to choose, get the sampler to share if you have the self control. 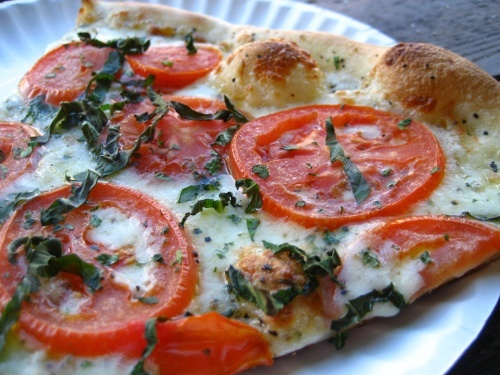 Pizza- Otto’s Pizza- At $3 a slice this delicious treat can make for a quick grab-and-go. The restaurant offers their full size pizzas at reasonable prices as well, and an excellent alcohol list makes it easy to enjoy a simple meal. The mashed potato and bacon pizza is phenomenal, but I’d only order a slice as it’s very rich and filling. The butternut squash, ricotta, and cranberry pizza, however, I could eat by the box full. Sandwich- Turkey, Apricot Chutney, and Fennel Sandwich at Cobblestones- This sandwich shop opened about a month before we left Portland. They have tables outside in Monument Square and it makes a great spot for lunch on a sunny day. We were recommended the turkey sandwich by an employee and were blown away at its sophistication and mouth-watering deliciousness. The fennel provides a bitter punch that cuts perfectly through the apricot chutney. Truly, in my eyes, the perfect sandwich. Sustainable Meal- Basil Lemonade and House Paella at Local 188- Local 188 is located on Congress Street right near the ball field. The husband and wife owners source almost every ingredient on the menu from local farmers and fisherman. Even the changing art display features artists from in the area. The specialize in creative cocktails including the basil lemonade- made with stoli, fresh lemon and basil, and club soda. The house paella is a monstrous serving of chicken, scallops, shrimp, and lobster atop a spicy rice.